Location. 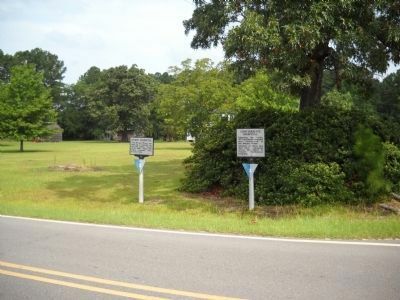 35° 18.081′ N, 78° 19.339′ W. Marker is near Four Oaks, North Carolina, in Johnston County. Marker is at the intersection of Harper House Road and Buck Dunn Road, on the left on Harper House Road. Touch for map. Marker is located on the Bentonville Battlefield, near the Visitor Center. Marker is in this post office area: Four Oaks NC 27524, United States of America. Touch for directions. This is marker # 3 along the Bentonville Battlefield Driving Tour. (about 300 feet away); North Carolinians at the Battle of Bentonville (about 500 feet away); North Carolina Monument (about 600 feet away); Texas (about 600 feet away). Touch for a list and map of all markers in Four Oaks. 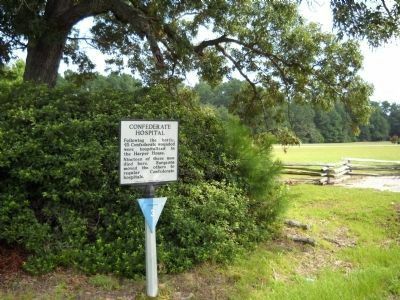 Two markers are found at this location. 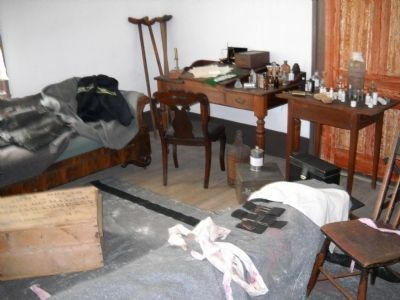 The Confederate Hospital marker is the one on the right. 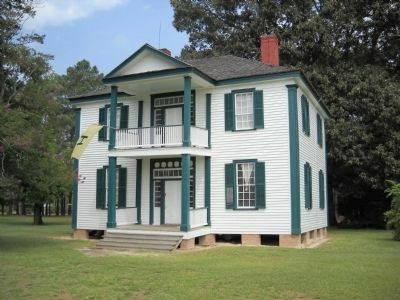 This house served as the Confederate Hospital after the Battle of Bentonville. It is within sight of the marker. 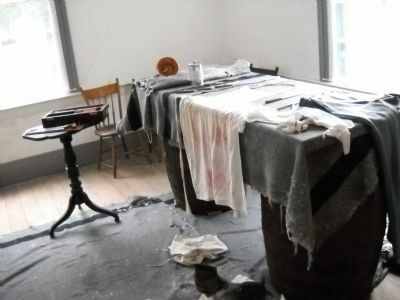 The inside of the Harper House depicts how it looked when it served as a hospital after the battle. 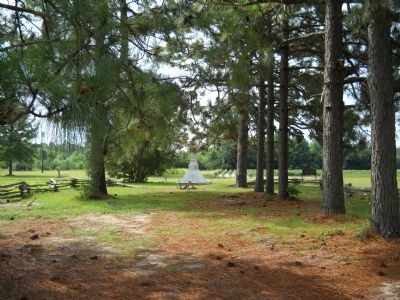 The Confederates who died during and after the Battle of Bentonville were buried in a mass grave at this site, just east of the marker. More. 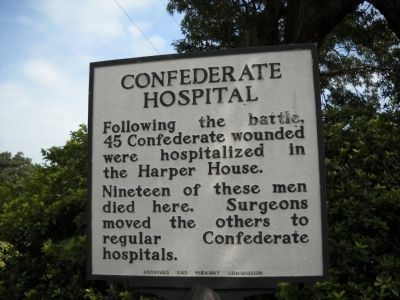 Search the internet for Confederate Hospital. Credits. This page was last revised on April 4, 2017. This page originally submitted on August 20, 2010, by Bill Coughlin of North Arlington, New Jersey. This page has been viewed 643 times since then and 6 times this year. Photos: 1, 2, 3, 4, 5, 6, 7. submitted on August 20, 2010, by Bill Coughlin of North Arlington, New Jersey.